When you want to make someone’s day brighter, a bouquet of fresh blooms is definitely a great choice, and one of the common ones no matter where you live. But shopping for the prettiest petals has been revolutionized by A Better Florist, and the days of having to run all over town to find the ideal bouquet for your loved ones are long gone. Although there are flowers in Singapore at almost every corner, A Better Florist wants you to forget about your old and stressful ways of purchasing flowers for the special people in your life. They want to you to be able to order the best blooms easily, no matter where you are, hence their user-friendly website. 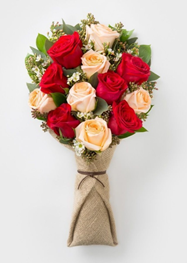 Ordering flowers online is a convenient and easy way to have fresh and beautiful flower bouquets delivered to your desired destination. A Better Florist literally enables you to stay in the comfort of your office or home, and move only when you have to click on the purchase button. This pampering convenience is topped off with a fast delivery. They deliver flowers every day, and that includes some of the biggest holidays when flowers are most in demand. One of the greatest perks is being able to order flowers and have them delivered the same day, within only 90 minutes, to any part of Singapore necessary. And to put it all a bit into perspective, in a wild and super-fast concrete jungle like Singapore is, it’s hard to imagine a business being able to cater to everyone at such great speed and still deliver quality at the same time. 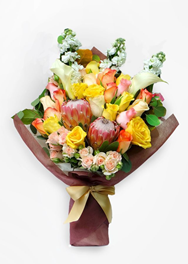 A Better Florist is undoubtedly the best florist in Singapore and wider. They are considered to be the best florist in Hong Kong as well. After additional research, because everyone should be an informed shopper, I discovered that A Better Florist has a Hong Kong flowers shop and a Dubai Florist as well, meaning their gorgeous flower creations are known far beyond Singapore. Another convenience is that you can find everything you need, and that’s flower-related, all in one place. If you’re looking for funeral wreaths in Singapore, or birthday flowers, or fruit hampers, get well soon bundles, or any kind of flower masterpiece, A Better Florist is the destination to go to. Their expert team has been crafting the most beautiful blooms for quite some time now, and it’s exactly this kind of passion and experience that has established them as one of the best. 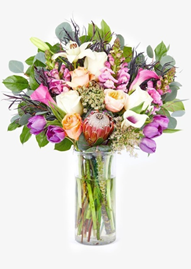 I truly enjoy glancing at their collections that are on the website, because they are mesmerizingly beautiful and fresh, and every bouquet or arrangement is put-together carefully and not just throw together for the purpose of selling. You can actually tell they put a lot of thought and creativity into crafting the blooms that their clients are going to love. Knowing that there’s a florist that crafts with ‘you’ in mind, it’s hard to say no to A Better Florist. I definitely recommend at least taking a glance at their socials, because their creations speak far better for them, then I ever could.